The Marlin 60 is a .22 caliber rifle offered at a very affordable price. It is lightweight and can be used for different purposes. Of course, due to the small cartridge, it is not suitable for long-range shooting, so if you are interested in that, better look elsewhere. The best scope for Marlin 60 would be the one which enhances the accuracy of the rifle while not adding a lot of weight. The maximum magnification the Marlin 60 needs is 9x, so there is no need to spend a lot of money for a decent scope for your Marlin 60. If you are confused about which scope to choose we are here to help. We have chosen 4 scopes which we believe are the best for Marlin 60. Why? Because of their price, magnification and that all of them have reticle specific for the .22 caliber. 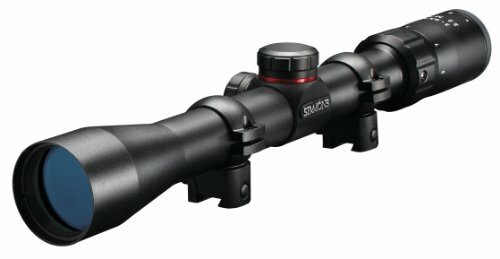 This is probably the best scope in its price range. When you consider its low price, you don’t really expect a great performance, but actually, the scope has succeeded outstripping the expectations of many. One of the things you should look for in a scope for the Marlin 60 is lightweight. And with a weight of 9.6 ounces, this scope barely adds to the weight of the rifle, thereby making it convenient for shooters of all ages. All Simmons scopes are built to last, this one being no exception, no matter the low price tag. The scope is constructed in a way to withstand anything that is not too extreme. All those of you who plan on using your Marlin 60 frequently will appreciate the durability of this scope. At the end of the day, the job of a scope is to guarantee that you are able to see a clear image of your target. That can’t happen unless the scope delivers quality images. This is where we found that this scope excelled, especially for its price tag. With its fully coated optics, the Simmons delivers excellent image through the magnification range. You spot your prey and zero in on it but realize that your scope needs to be adjusted to provide you with a clear view of your prey. Would you rather divert your attention to adjusting the scope or would you wish for a way to focus on your prey while altering the settings? Well, I prefer the latter, and the SureGrip rubber surface of this scope lets users do just this. It doesn’t matter if you are wearing gloves or focusing on the prey, the adjustments will remain easy to perform. The best 22lr scope on a budget. If you are a hunter, the chances are that you are familiar with Bushnell. This brand has been popular among the masses for its quality gears for decades. Therefore, we believe that this list would have been incomplete without the inclusion of a Bushnell scope. We found this scope from Bushell to be one of the best Marlin 60 scopes. Accuracy is a feature that makes or breaks a scope. The accuracy of the product depends on the extent with which you can fine-tune its settings to allow for precision. During our review of this scope, we were surprised by the specificity of this product. This has been delivered by the inclusion of target turrets that make pinpoint adjustments possible. The scope lets you make accurate aims at a distance of up to 125 yards. When you consider how hard it is to use a Marlin 60 for such long-range shooting, this addition serves to be the most important feature any scope can offer you. The side focus parallax adjustment further aids in long-range shooting as well since it lets users alter the focus according to their need. You would know how crucial being quick is in hunting. One second too late can lead you to miss out on a possible prey. This is why you need a scope that focuses quickly and provides you with all the necessary tools for zeroing in on your target. This Bushnell scope has been able to achieve this with the addition of a fast-focus eyepiece. Hence, from the moment you spot your target while looking for the product, your scope will focus on it. Rustproof, scratchproof and built from aluminum alloy – each of these features play an integral role in making sure that the scope is as durable as possible. We found the longevity of the scope to be exceptional. The fact that it is rust- and scratch-proof means that neither the aesthetics nor the functions of the product are endangered for a long time to come. The O-ring seal prevents dust from entering the durable alloy interior, hence further ensuring sustainable performance. Would also be one of the best scopes for M&P 15-22. Yet another Simmons scope has managed to get onto this list. This speaks volume about the quality of the brand. This scope, just like the other Simmons product on this list, has been successful in impressing me owing to its budget-friendly price along with its performance. Acquiring targets can either be a piece of cake or one of the biggest challenges of using a scope. It all boils down to the features of the given product. Simmons has taken special measures to make sure that the users are able to acquire the target as soon as possible. The four-inch eye relief system aids in doing so. The beauty of a Marlin 60 lies with its lightweight and the benefits that arise due to it. As I have mentioned before, the perfect scope for such a rifle is one which complements this feature. 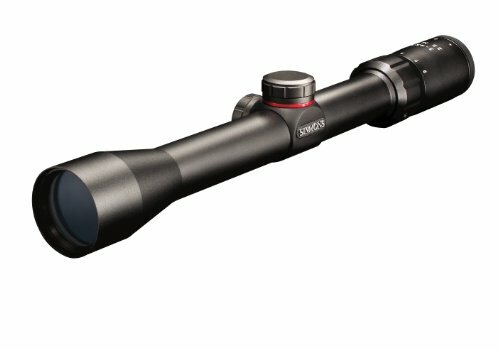 This Simmons scope has managed to offer this light handling via its one-piece construction. Its 8.6 ounces of weight also makes it highly portable. Whether it be water, fog or shock, this scope is resistant to it all. This feature enhances the longevity of the product. We were able to use it in harsh weather without affecting its performance. Also, the fact that it is shockproof means that you don’t need to worry about the possible damage that may have occurred during the recoil of the rifle. You can say this scope is a tough cookie. When it comes to reliability and accuracy, this scope does not disappoint. During our review, we found that the fully coated optical glass played a pivotal role in providing high contrast to the images. When you go hunting when the light is low, such high contrast is what makes all the difference. This scope would make an excellent Marlin 336 scope. BSA Sweet can be dubbed as the perfect package. Whether it be an affordable price or a hub of needed features, we think this product provides it all. An excellent Marlin 60 scope for the price. The precision of this scope is excellent. You can attribute this accuracy to the combination of the various features offered by the product. 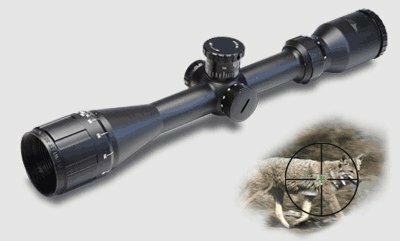 The 3.9x magnification, 40 mm objective lens and a three-inch eye relief all aid in making the scope as precise as possible. The 40 mm objective lens eliminates all the guesswork you otherwise would have had to do. We don’t think it can get any simpler than this. Not everyone wishes to equip their rifles with premium accessories and gear. Those of you who look for cost-effective solutions in all purchase decisions will be satisfied with the cost of this product. The low price has made it a value-added investment. The range of this scope surpasses the normal accuracy of the rifle. This means that using Marlin 60 for shooting over ranges which were once a dream can now be translated into reality. The 36-grain turret allows for effective shooting on this range since it lets you alter the focus as per your decided distance. 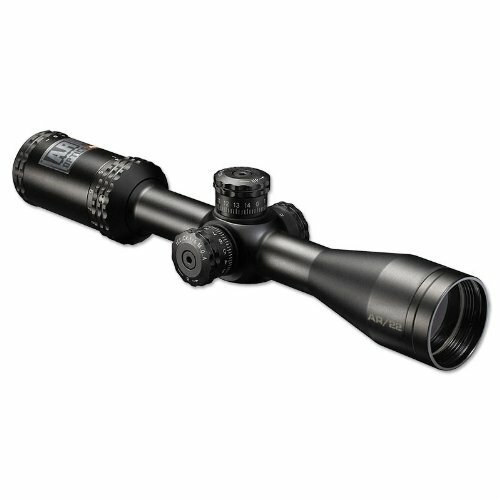 Just like other products on this list, this scope manages to be durable. This is guaranteed by the rugged construction, quality material and resistant nature of the product. The scope is resistant to the fog, water, and shock. Therefore, feel free to use it in harsh conditions without worrying about the consequences. Personally, we found the Bushnell Optics Drop Zone-22 BDC to be the best one for the Marlin 60. This is due to the fact that the scope manages to combine all desirable features, whether it be cost-effectiveness, lightweight or accuracy, and offers users a complete package. You can choose any scope mentioned above and rest assured that you will be satisfied with it. Make sure you do equip your Marlin 60 with a scope. It can greatly enhance the performance of the rifle and when you are on the hunting field, each improvement matters. Reap the benefits of having a scope and hunt down your target. Another .22 rifle you may like is the Ruger 10/22. For more power check the best scopes for 270 Win.